Financing a commercial enterprise can be a daunting experience, as experts in the business finance industry we understand the complexities and can make the process quick and simple for you. The type and size of the loan you want will vary depending on your business requirements; there are many funding options available to suit these variations. We will listen and provide independent tailored advice before securing you a competitive commercial finance solution for your Adelaide business. Why choose Adelaide’s Commercial Finance Experts? We have access to all the major lenders in Adelaide. We work for you, making the process simple so you can concentrate on running your business. AKORIN Finance is experienced in the commercial finance sector and can simplify the complicated process for you. As Adelaide based financial experts we understand the local commercial markets and will share our knowledge exclusively with our customers. Whether you are in the early stages of your business, need support or looking to expand, AKORIN Finance can provide the perfect commercial finance solution. 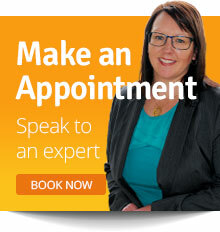 Call today and see your Adelaide business strengthen with us.